Aquatic Passes may be purchased in person or by phone. Those purchased via phone will need to stop by the St. Charles Parks and Recreation Administration Office during regular business hours to pick up their passes. Photos are required for season passes, if you are not able to bring everyone into our office for their photo to be taken you can bring in a clear portrait photo (ex. school photo) and we can take a picture using that. *A Family Season Pass is defined as a maximum of 4 persons within the same household. Additional family members within the same household exceeding the 4 person limit can be added for an additional $25 per person. **Loyalty Member: Those who purchased a season pass in BOTH 2017 AND 2018 can qualify for the Loyalty Member rate. Families exceeding the 4 person limit will be required to pay the set fee for additional family members of $25 per person. THIS OFFER IS AVAILABLE FROM FEBRUARY 4 - APRIL 26, 2019. Blanchette Aquatic Facility will be available for lap swim in the morning before regular hours. Please come into our Administration Office in Blanchette Park to purchase your pass. 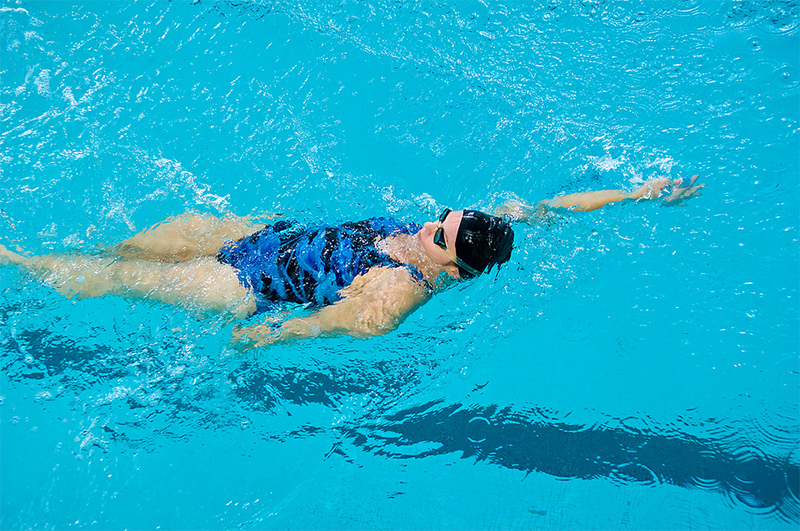 Pass can only be used towards lap swim hours. Regular water park hours not included. Wapelhorst Aquatic Facility's Lazy River will be available for River Walking in the morning before regular hours. Please come into our Administration Office in Blanchette Park to purchase your pass. Pass can only be used towards River Walk hours. Regular water park hours not included. at a reduced rate at the aquatic center of your choice.